Cherokee Ranch and Castle Foundation is a historic castle venue in Sedalia and provides unobstructed mountain views of the Front Range and unique charm. 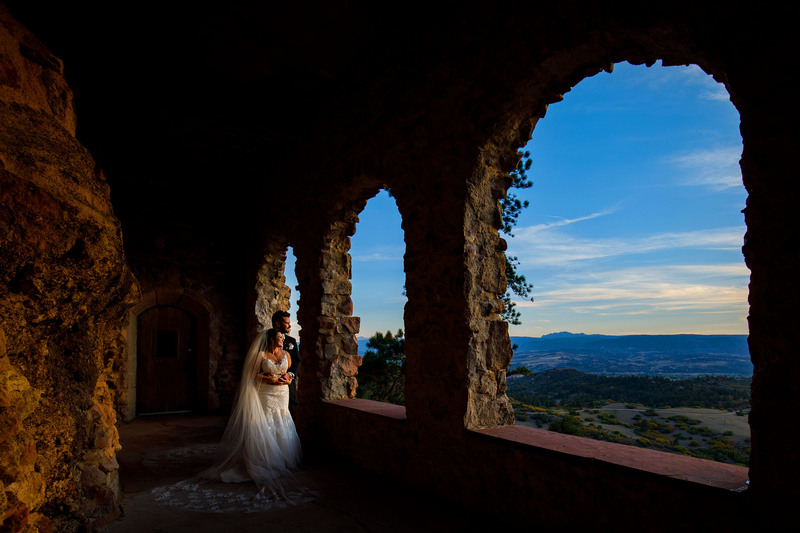 The castle up on the hill is unlike most wedding venues near Castle Rock or others south of the Denver metro area. This historic venue can accommodate up to 200 guests for a sit-down reception between the great hall and pavilion tent. The outdoor patio serves as the most common ceremony location. Sitting on the tallest point on the private property, this venue provides panoramic views from Pikes Peak to Longs Peak. You’ll have the entire venue to yourself on the wedding day which sets your mind at ease. The Cherokee Ranch and Castle Foundation provides its own private security for the event. The views are absolutely majestic and the light in the bridal suite is lovely. The castle gives you the flexibility to choose your caterer, beverage supplier and rentals which you'll learn isn't often the case.